Jennifer Kirkhart Curio has been practicing law since 1997, and she has devoted a significant portion of her practice to family law matters since 2000. She is an experienced attorney, familiar with both settlement and litigation. She firmly believes that to be effective and cost conscious for her clients that collaboration and settlement should be the primary goal until it is clear that aggressive litigation is necessary. When it is, Mrs. Curcio is very experienced and comfortable in the court room. She has handled hundreds of family law cases during her career. She offers a free consultation over the phone, so call her for a free confidential phone consultation at 352-327-1201. Mrs. Curcio has started a small solo practice that allows her to provide personal service to her clients. If you call, you will speak directly with her, not several layers of administrative assistants. She is accessible and responsive. She will listen effectively and compassionately to your issues and provide you with sound advice. When you are in need of legal advice, it can be confusing and emotional. Mrs. Curcio can cut through the emotions and focus you on a cost effective and common sense approach to legal matters. Mrs. Curcio stays current with all of the latest legal changes and education. 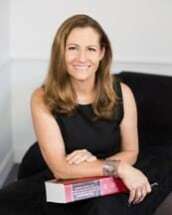 She was certified in 2006 in Collaborative Law, a new approach to divorce. Collaborative Law takes family out of the courts. Parties enter a contract not to file litigation, but to collaborate together to find a dignified and respectful way to redefine the family unit. It is a whole team approach and financial professionals, divorce coaches and child advocates are available to assist in the process. This ensures that your family issues are addressed legally, financially and emotionally.